Tonight is a big deal in the Persian community. It is a night that many look forward to with much anticipation because there is much celebration in every household. 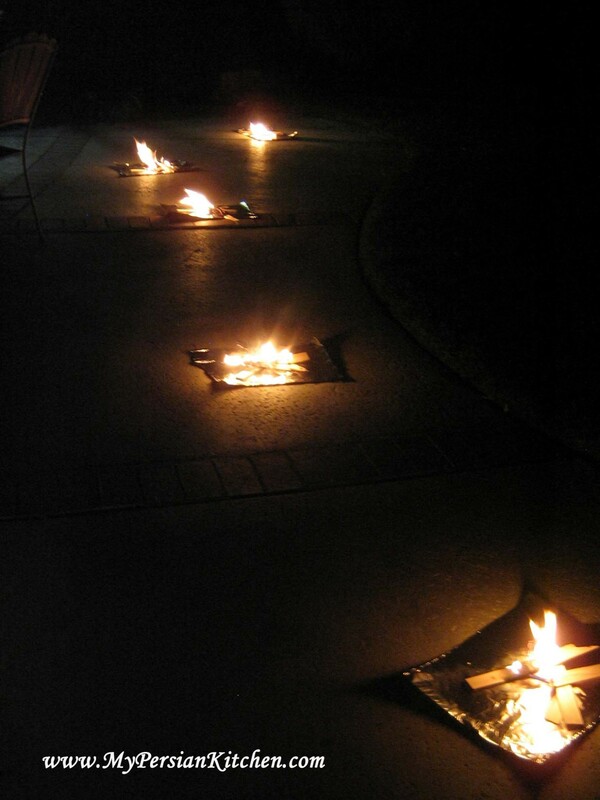 As a kid I always looked forward to the festivities of Chaharshanbeh Souri. Small bonfires are set up for people to jump over the flames while reciting zardi-ye man az to, sorkhi-ye to az man, which loosely translated means “take my yellow and sickly color in exchange for your red color.” This is an old ritual which always takes place on the eve of the last Wednesday of the year. This ritual is centuries old and is associated with Zoroastrianism. The purpose of the phrase that is recited is to draw from the brightness and energy of the fire and release everything that is negative and sickly into the fire. For me Chaharshanbeh Souri has not been the same since I left Iran. With this said, I have very fond memories of spending Charshanbeh Souri at my mom’s friend’s house Khaleh Firouzeh. Her daughter, and my childhood friend, Leyla whom I have mentioned around here before on this post, used to have a great time jumping over the fire together. I can’t say I have done anything as fun since moving to LA. But I have tried not to miss the fun and actually jump over a candle and recite zardi-ye man az to, sorkhi-ye to az man. 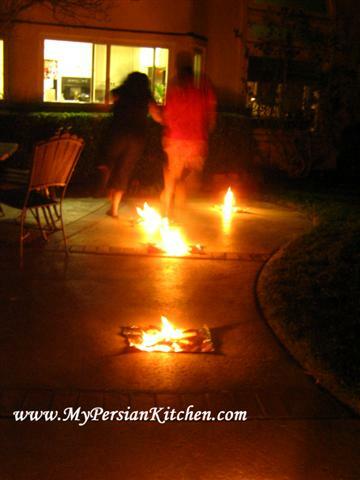 The food that is associated with this evening are Asheh Reshteh and Ajileh Chaharshanbeh Souri. I wish you all a very happy Chaharshanbeh Souri! 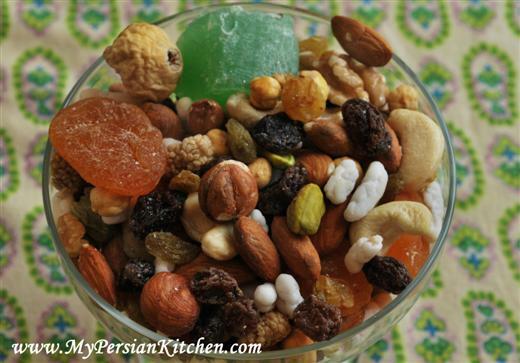 I’ve really enjoyed reading about the Persian New Year! Happy Chaharshanbeh Souri! I enjoyed this site. As an Iranian American I believe this ia the way we can introduce Iranian culture and tradition to the world. PS: I believe Ajileh chahar called agjileh moshgelgosh. Congratulations on creating such a fantastic site. 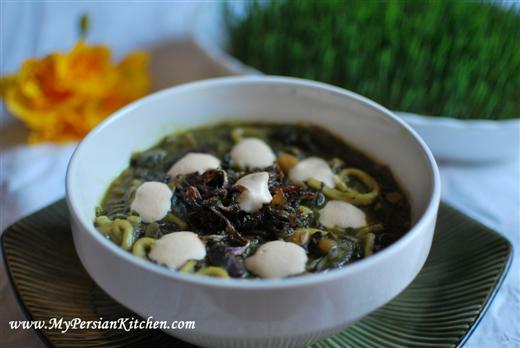 It is is great site for our young Iranians who are trying so hard to learn their traditional dishes, and you have done a marvelous work on Persian Cooking.When my daughter(who lives in Boston/MA) I told her about your page she was browsing for hours and hours and she was so amazed to see all the receipes that you offer now she says she does not have to call me in LA to ask for receipe..I am very happy for you and wish you all the success in your future venture. Congratulation on such a marvelous fantastic work you have done on this site.Our youngIranian generation are enjoying this site, especially my daughter who lives in Boston/MA. she does not need to call me for any recepie now.Excellent work. Mahvash khanoomeh aziz, thank you so much for your kinds words. This blog has been a fun and educational journey for me too!